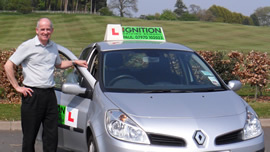 Learner drivers in Kenilworth have the choice of taking their driving test in Warwick or Coventry and so the driving lessons will head into either of Kenilworth’s neighbouring towns. Ignition Driving School recommends the Warwick test centre as some of the test routes head into parts of Kenilworth. 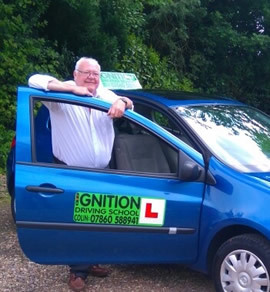 Ignition Driving School has driving instructors who live in Kenilworth, meaning you won’t be wasting driving lesson time trying to find somewhere suitable to practice. We have been teaching pupils to drive for many years in and around Kenilworth, and so we understand what is expected of you when you take your driving test. I was a very nervous learner driver, and my first instructor implied that it was impossible for me to learn to drive and suggested I should take public transportation instead! I then was introduced to my second instructor, Paul Gowlett. He is very good at handling nervous students like me. He always planned routes for my lessons carefully and liked setting manageable challenges to boost my confidence. With Paul's skillful instruction and endless patience, I passed my driving test in the first attempt! Thank you very much Paul. I could not have done it without your help! I just want to say a big thank you to your company and especially to my instructor, Paul Gowlett, for his outstanding professionalism and patience whilst teaching me to drive. He always knew the exact right thing to say and made me feel confident and happy with my driving. I could not have wished for anything more or different from my instructor, and I think that he is an asset to your company. I will definitely recommend you in the future. Thanks Paul, for your wishes. It would not be truly possible without your kind help. Your services made my practical test successfully cleared. Ignition Driving School helped me in all ways to achieve the success. I have limited time to take the test due to my working hours at work. But Paul, was always ready to take me for the test and practical lessons. I think the key part of the learning with him was I had practice through all the possible major test routes that happens on the test day. I would definitely recommend Paul / Ignition Driving School for the success in driving test. Colin was a great instructor, patient but also go the best out of me. Thank you for helping me to pass first time!